Securing you data, be it your smartphone tablet or computer is very important in today’s day and age. With hacking and social engineering getting more rampant having good security for your personal data and information is becoming more important. We compared top internet security programs looking at features, prices and cover for multiple devices. We also considered whether the program slows down your system and evaluated the number and quality of advanced security tools. Having a good antivirus or security software for your device (smartphone, tablet, IOT or laptops) is vital. Getting hacked, tricked by email into giving out personal information or just being infected by a dodgy app from a play store is something that can create a lot of problems for you. Thankfully software companies are quite pro-active and have kept up with trends, releasing all in one security product packages that cover your smart devices including laptop or pc and other smart devices all in one package. Different vendors have different computer security packages that cover from 2 to 5 devices and more based on what you need. Below is a list of multi-device packages prices and also one device internet security solutions for you. Coupon “FEB30” 30% Off Home Security AVAILABLE from 11 Feb to 18 Feb. Coupon “FAB20″ 20% Off ALL B2c & B2b products Available from 22 Feb to 28 Feb. In today’s world the smartphone holds as much of your personal information as a computer or laptop would – sometimes even more. Today your smartphone is just like a small computer and stores most of your email logins and passwords, and bank login details and so security for devices have to be more secure than before as your personal data is spread over multiple devices. Securing it becomes even more important because of this. The first things you should do is activate remote delete on your phone in case it gets lost or stolen. You can do this for free by using your Google Gmail account or your Samsung account. For apple or IOS devices there is the inbuilt tracker on their devices too attached to your apple id. They are also special free and paid apps that you can download from the app store to do this same thing. The second and more important layer of security you need is a smartphone antivirus software or app. This product will protect your smartphone the same way software protects your pc/computer against viruses, hackers, malware and dodgy apps. It will scan and alert you about any insecure apps, software, files on your phone and block them. This software now has ability to secure your device in real time as well. Below are some top security software providers that have multi device internet security plans and also single device plans that can get your device secured. We follow four labs that regularly release detailed reports: SE Labs, AV-Test Institute, MRG-Effitas, and AV-Comparatives. We also note whether vendors have contracted with ICSA Labs and West Coast labs for certification. Includes our 100% money-back guarantee: From the moment you subscribe, a Norton expert is available to help keep your device virus-free or give you a refund! Peter Norton Computing, Inc., was a software company founded by Peter Norton. Norton and his company developed various DOS utilities including the Norton Utilities, which did not include antivirus features. In 1990, the company was acquired by Symantec and renamed Peter Norton Consulting Group. Symantec’s consumer antivirus and data management utilities are still marketed under the Norton name. Norton, also known as Norton by Symantec, is a division of Symantec, and is based out of Mountain View, California. Since being acquired by the Symantec Corporation in 1990, Norton has offered a variety of products and services related to digital security In 2014, it was announced that Norton’s parent company Symantec would split its business into two units – one focused on security, and one focused on information management, with Norton being placed in the unit focused on security. Thanks to 63 million attack sensors in over 157 countries and 15 global security centres, Norton blocked three billion attacks in 2016 and protected 63 million customers and four million small businesses in the process. Symantec’s Norton suite is trusted by organisations around the globe to provide integrated solutions that defend against the most sophisticated attacks. Its comprehensive protection footprint and extensive intelligence network is constantly gathering insights into the latest threats to keep you and your devices safe when you are online. McAfee is the device-to-cloud cybersecurity company. McAfee – a long-trusted name in protection against hackers, malware, phishing and other online threats. McAfee, LLC (/ˈmækəfiː/ formerly known as McAfee Associates, Inc. from 1987–2014 and Intel Security Group from 2014–2017) is an American global computer security software company headquartered in Santa Clara, California and claims to be the world’s largest dedicated security technology company. The company was purchased by Intel in February 2011 and became part of the Intel Security division. McAfee® customers range from government agencies to millions of home users. Businesses range from the smallest startups to the largest enterprises. McAfee mobile security solutions safeguard devices such as smartphones, tablets, and corporate networks. through cell phone carriers, Internet service providers (ISPs), their device maker, or other McAfee partners. A single subscription covers every PC in your family, so you can install AVG Internet Security on every computer in your household. You also get antivirus for all your Android devices. The AVG goal is a world in which people can enjoy their lives online without worries. AVG is now part of the Avast family of world leading digital security products, dedicated to keeping people around the world safe. AVG features most of the common functions available in modern antivirus and Internet security programs, including periodic scans, scans of sent and received emails (including adding footers to the emails indicating this), the ability to repair some virus-infected files, and a quarantine area (virus vault) in which infected files are held. 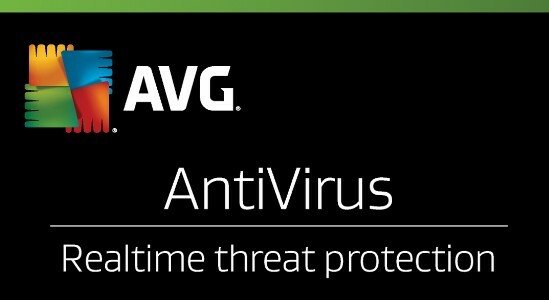 On 7 July 2016, Avast announced an agreement to acquire AVG for $1.3 billion. How Internet Security Software Works – How to install? For computers and laptops, you just download the software and click on it to install and the rest is done by the program/software and it is up and running. You will be required to run a scan on your first install and then regular scans can be scheduled by you at a preset time automatically or then done manually by you on a regular basis. Just go the play store or apple app store and download the app and install. If you have purchased a multi-device license, you can then input the license key in the app to activate the software on your smartphone or tablet. What Security Software covers ? 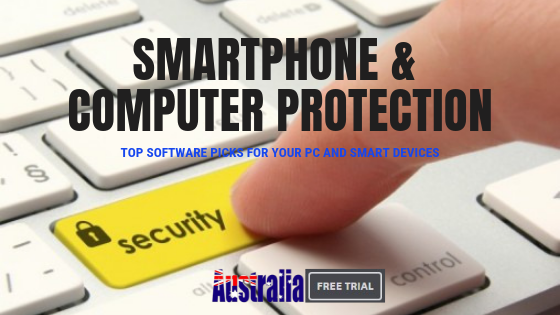 Where before you would normally get just one device protection and had to purchase more software for more devices, now you can get a variety of cover for your devices. They are multi-device family plans for devices covering 1 device, 3 devices, 5 devices, 10 devices and also unlimited devices. So everybody can get covered with just one software purchase. The software also comes with lots of free add-ons like Password Manager, where you can manage and secure all your passwords for different websites on your computer securely. Free trails are quite popular with most security software companies, where you can try the software for a certain limited time before you decide to buy. Some providers provide the full version of the software for trial, while some of them provide limited feature version for trial. McAfee and Norton (also called Symantec) are both familiar names in the antivirus realm, but how do they compare to each other in a head-to-head battle for dominance? Prices differ as prices keep changing with promo deals being released. However, right now as a comparison between 1 device vs. 5 devices cover, you can see that MacAfee has a lower price than Norton. Norton’s suite is more extensive, including features such as safe reboot, email support, social media protection, and chat and instant messaging protection. McAfee scores well regarding usability, but Norton is more reliable in protecting against new and existing threats. The feature set for both cover the basic features as well as some add-ons, so this is where it would be a decider for you if it is not the price. Bitdefender has 1 device , 3 device and 5 device security solutions. They have the basic windows protection, advanced windows protection and the complete protection solution in the price range from $35 to $59.99. They also have the family pack that covers more devices than the normal plans. Bitdefender has the largest security delivery infrastructure on the globe With a worldwide network of 500 million machines. They have Technology alliances with Citrix, VMware, Nutanix, Linux Foundation, Microsoft. Bitdefender’s Internet of things device protection solution is called Bitdefender BOX. The box is a router designed to protect smart home products and Internet of Things devices by blocking malicious internet traffic. 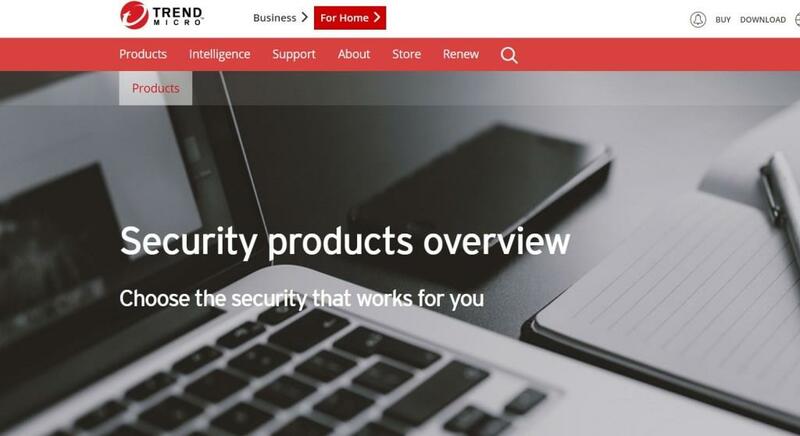 Trend micro has unique solutions named maximum security and premium security plans for computer and smart device protection. They have 1 device, 6 device and separate windows, mac and smart device solutions as well. The maximum security is one of the best suited midsize plan priced at $99.95 142.95 and is a multi device cover covering 6 devices with comprehensive security for your PC, Mac and mobile devices. They also have the Home network security plan that can protect all smart devices in your network. Trend Micro Inc. is a Japanese multinational cyber security and defense company founded in Los Angeles, California with global headquarters in Tokyo, Japan, a R&D center in Taipei, Taiwan, and regional headquarters in Asia, Europe and the Americas. Microsoft Security Essentials is a antivirus program that provides real-time security. The protects your computer against existing malware, viruses, and spyware. Microsoft Security Essentials can detect malicious software that is trying to infiltrate your data and also block them by activating or increasing the firewall mode (while connected to the internet). The software is programmable to run scans at set intervals, including monthly and annually. You can never be fully 100% secure. Firewalls are a good addition to have with antivirus and malware protection. Good free firewall software’s are Kerio (free version- NA) and Zone Alarm (free version). A firewall can be a hardware or software device. A hardware firewall is a unit that is connected between the network and the device for connecting to the Internet. A software firewall is a program that is installed on the computer with the Internet connection. ZoneAlarm is an internet security software company that provides consumer antivirus and firewall products. ZoneAlarm was developed by Zone Labs, which was acquired in March 2004 by Check Point. Current deals here. Chat or online for the life of your subscription. See who’s got your phone or tablet if its lost or stolen. Now you’ll know if an annoying brother—or master thief—tries snooping on your phone or tablet. When anyone fails 3 times to unlock your device, Camera Trap will take a secret photo of them and then email that photo to you with the time and location of the incident. Go to our AVG website link above to check out more features for this. AVG Secure VPN is an application which enables you to connect to the internet via secure VPN servers using an encrypted tunnel to protect your online activity from eavesdropping. A Virtual Private Network (VPN) protects the data you upload and download from the internet, provides security for any data you send from your device, and anonymizes that internet activity. AVG antivirus app on Google Play has had 100 million downloads, and is used today to secure phones and tablets across the globe.Once installed, it protects you from the latest viruses, malware, spyware, unsafe apps and settings, unwanted callers, and other nasty threats. Go to our AVG website link above to get the free version. Malware and spyware can be a nasty problem to get rid of, and they can sometimes enter your computer, even if you have internet security either through websites or human error. Below are some Free software’s that can help you remove malware or spyware from your computer. Malware bytes free offer the best protection that will work with your existing antivirus. Your best bet is to install the free protection and then do a manual scan at least every two weeks with the malware bytes program. They also have ADWCleaner program. Other Free programs choices are – SpywareBlaster, Spybot – Search and Destroy, Ewido, adaware ad block, CCcleaner or Microsoft AntiSpyware. An anti-malware and anti-spyware stalwart that’s ideal for diagnosing existing infections. This is more of a system repair tool than a system protection tool. The free software does a decent job of finding and fixing adware, malware and spyware. Awesome review for the antivirus. Thanks for this information. This is great it is one of the most Honest review have read in the past 2 years of surfing the Internet . My antivirus has come up for renewal and was just looking online fore something that would cover more than 1 device , now that I have 7 internet connected devices in this household . Im tossing up between Norton and AVG as I have used them both before and both are good , but leaning towards AVG to future proof myself . Which is better , what you recommend.